My caps EC18, 19 & 20 are all blown. The solder joints look like someone has already replaced them. 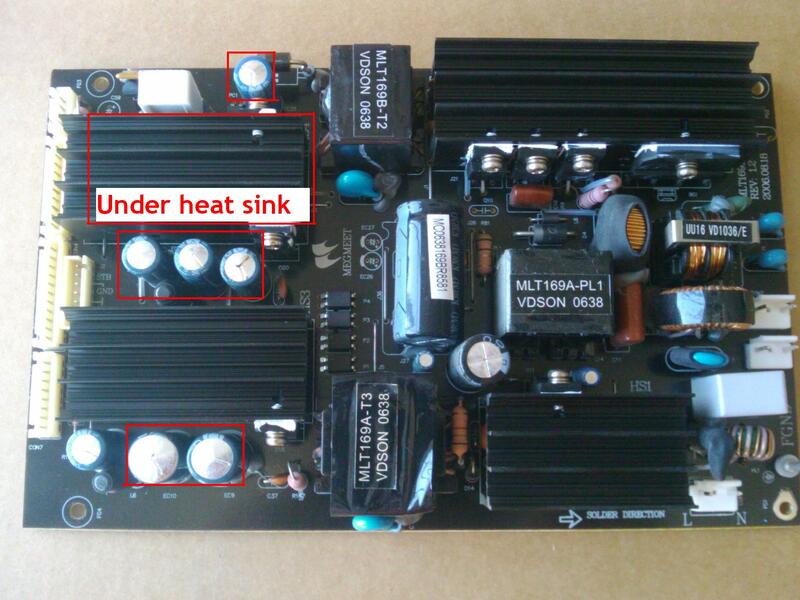 Is there a diode that might have caused them to blow? 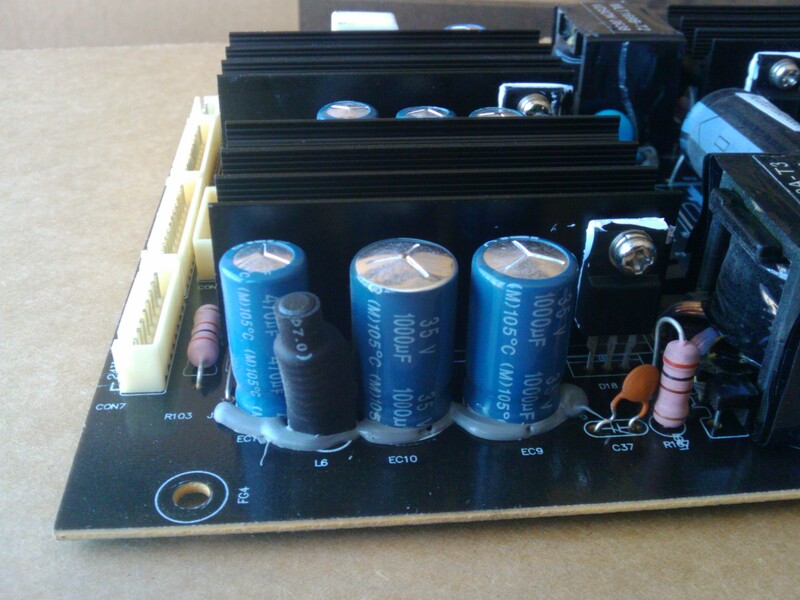 There probably needs a heat shield because the heat sinks ove heat the capacitors. 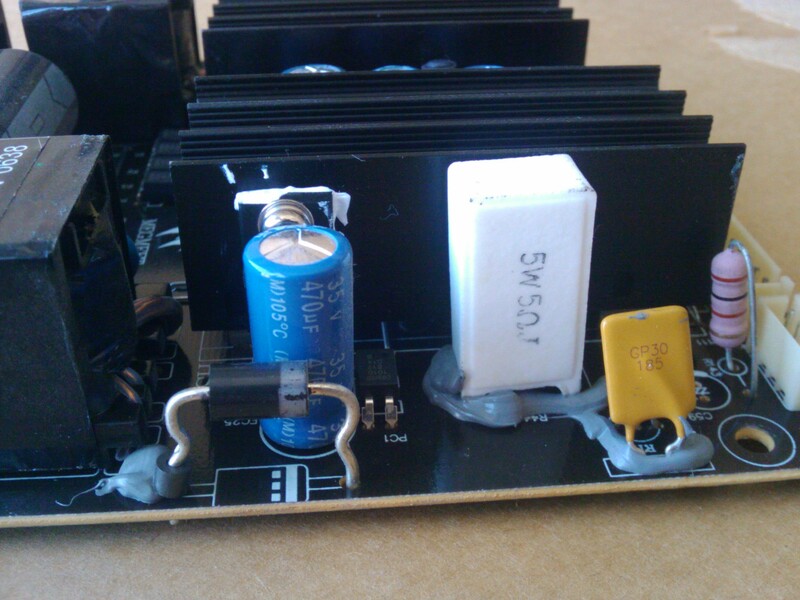 I had the same problem in xerox power supplies and replacing the capacitors and put something to shield them from the heat. 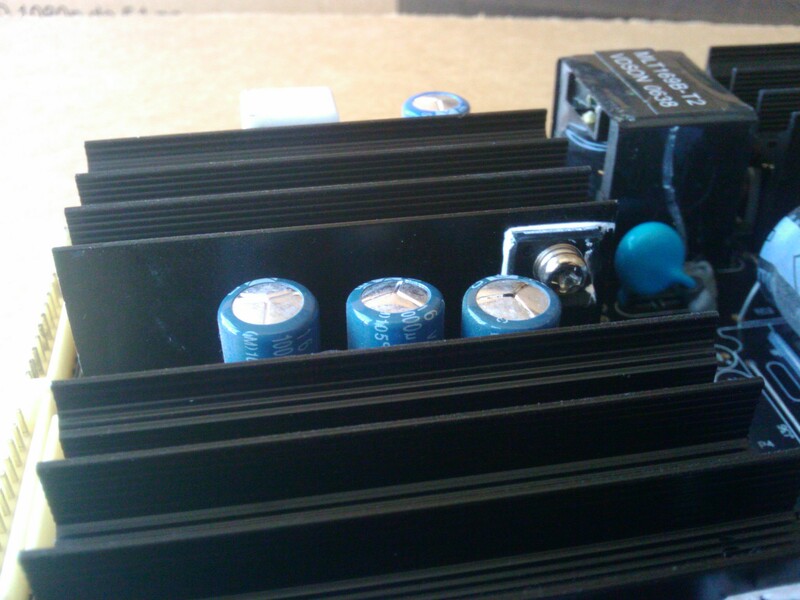 My unit blew the three capacitors between the heat sinks that's what I'm going to do.